I read this article and found it very interesting, thought it might be something for you. 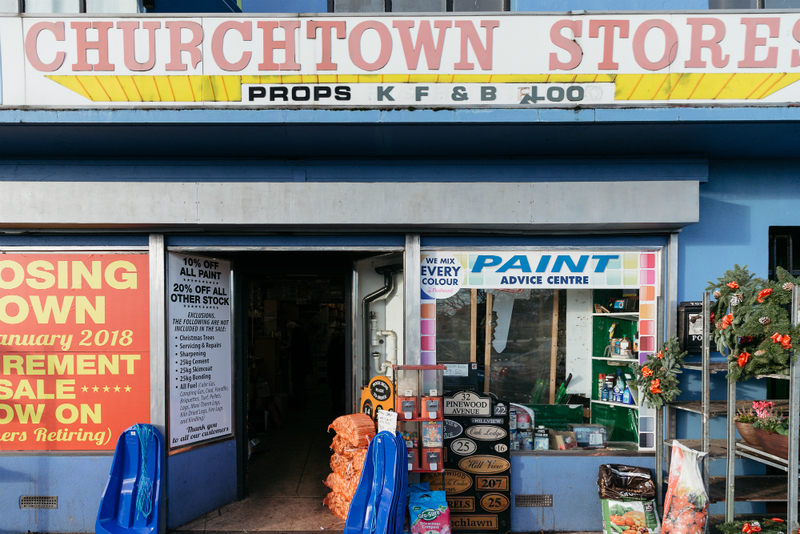 The article is called “Up to the Brothers!” – The Churchtown Stores and is located at https://www.totallydublin.ie/more/up-to-the-brothers-the-churchtown-stores/. Saunter through the community-centric institution that is Churchtown Stores on any given morning and, without fail, an incessant flow of eager customers will be on hand to greet you. 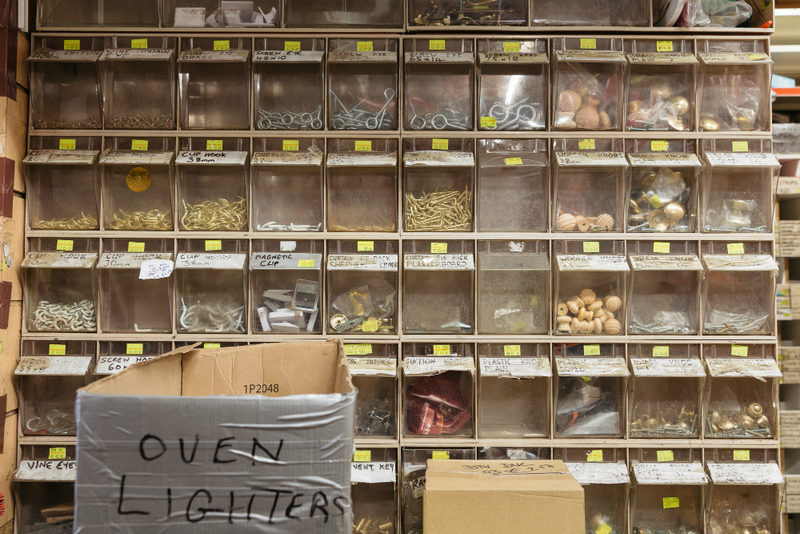 Such populous scenes have defined this Braemor Road-based hardware store for nearly three decades, and have long cemented its neighbourhood status as an indispensable go-to for all repair needs (and far beyond). These accolades weren’t merely handed out, but tirelessly earned by the industrious Flood brothers: a trio of practically-inclined, self-taught business savants, Kieran, Fehan and Barry, who took over the Stores on Leap Day 1988. Its founding proprietor was Seamus O’Reilly, a local entrepreneur whose business portfolio can only be described as multifarious; ranging from bicycle repair shops to old-fashioned toy stores. Such far-reaching categories cannot help but evoke jack-of-all-trade comparisons, however, and by the time O’Reilly was ready to retire and sell off Churchtown Stores in late 1987, the in-house trade had declined considerably. Its barren shelves were quickly revitalised once the Flood brothers secured the helm, and their presence became so ingrained that local customers quickly forwent the name “Churchtown Stores” altogether; instead leaving their homes with a declaration that they were heading “up to the brothers!”. Prior to making their mark on Irish shores, the Floods had clocked up over 20 years of hands-on experience in London. Kieran, the eldest of all three, made tracks to the city in 1962, with Fehan and Barry following suit in ’65. They settled in a digs in North London, where they remained until they all got married – each to Irish girls who, like themselves, frequented the city’s long-beloved dance hall Galtymore, a “home from home” for Irish-born Cricklewood dwellers. From their original base, Kieran and Fehan, both specialising in electrics, combined forces to oversee a small shop, while Barry worked away separately as manager of a hardware store. Five years in, the once-lengthy lease on Kieran and Fehan’s shop expired – its rent quadrupling as a result. At around the same time, two brothers running a hardware shop just across the road decided to embark on their retirement, and asked the Floods if they would be interested in taking it over. Roping in Barry to employ his technical expertise, the brothers’ new enterprise became one of the very first in London to combine electrics and hardware. With young families in tow by the late 1980s, the Floods felt an urge to raise their brood back in their home terrain and thus decided to swap London for Ireland in 1987. Before officially making the move back and securing Churchtown Stores, however, they conducted extensive research on the best place to set up shop. Perhaps their decision not to re-settle in their hometown – the brothers originally hail from Westmeath – influenced just how wide-stretching their areas of choice were, with opportunities in Baltinglass, Mullingar, Newbridge and nearby Ranelagh all up for consideration. What followed their acquisition was 29 years of skyrocketing success, driven in no small part by the integrity-filled ethos of the Flood brothers themselves. Rather than focus their strategies on selling as much, and as often, as possible, they honed in on customer rapport – creating a welcoming space where visitors could look around without the pressure of a purchase. Exploring the industrial labyrinth that is Churchtown Stores’ interiors – the structure of which remaining unchanged over the years, in accordance with the Floods’ “if it’s not broke” outlook – is a visual delight. 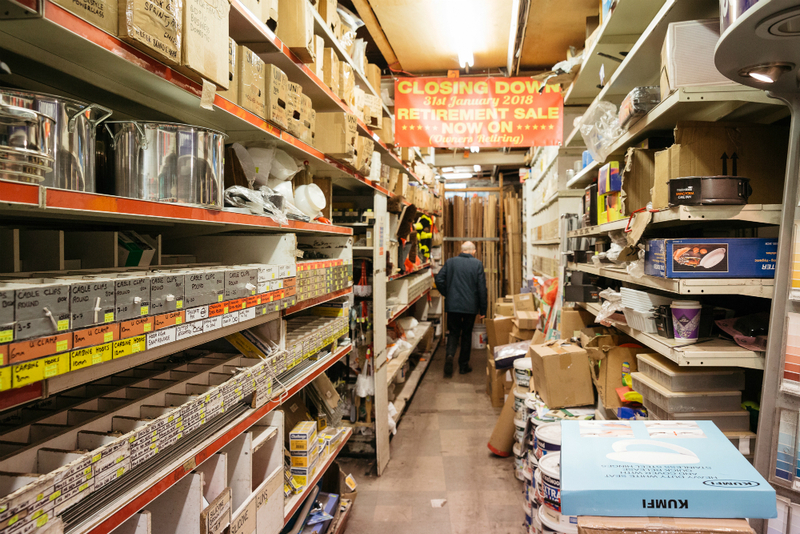 Snaking through the aforementioned throngs of customers leads you to rows upon rows of stacked shelves, full-to-the-brim with varied apparatus and an innumerable quantity of hand-measured nails. 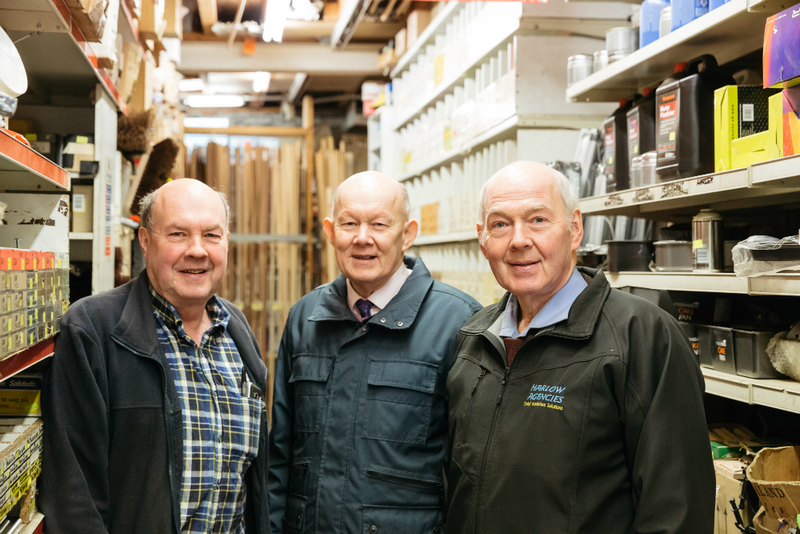 All this considered, it’s of little surprise that when the brothers decided to put the stores up for sale last year – following their long-standing plan to retire once Kieran reached the age of 70 – they were convinced it would sell as a going concern. 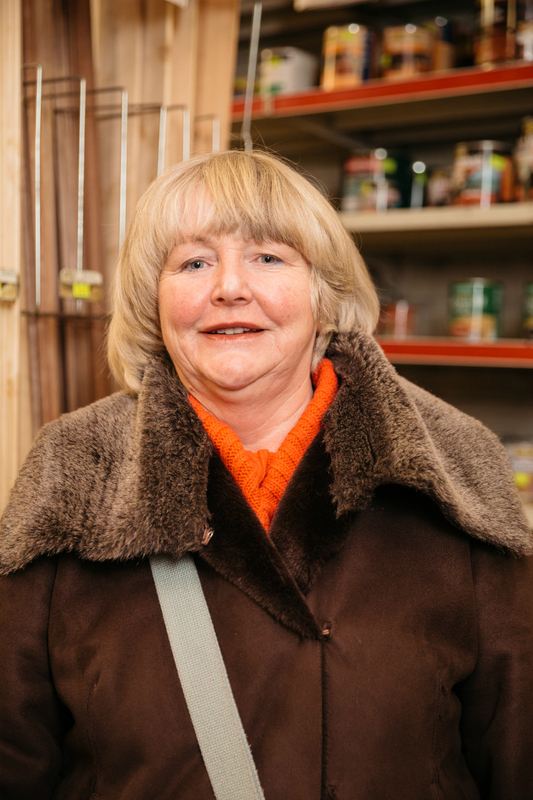 By this time, Churchtown Stores had built up a 28-year strong business fully reliant on word-of-mouth – “we’ve never once had to advertise” – having forged many’s an iron-clad customer bond in the process. Sadly, this has not ended up the case: permission has been granted for the first phase of developing a pub to replace the stores. With the 31st of January marked as Churchtown Stores’ last trading day, consumers old and new are converging to stock up on supplies – from out-of-production speaker wires to a final few bars of Lifebuoy soap (their stash of Sunlight has now fully sold out). Regardless of your shopping requirements, let a visit to this little gem claim the top of your to-do list this month.. and watch the Flood brothers depart Braemor Road with their heads held firmly high. Churchtown Stores is open seven days a week on 14 Braemor Road, from 9am to 6pm: they can be reached by calling (01) 298 7778 or by emailing churchtownstores@hotmail.com.